You can enjoy spectacular autumn scenery in Kyoto. Here are 5 ways that you can fully enjoy the amazing autumn season in Kyoto! In Kyoto, the leave start to change color starting October until early December, peaking around mid-November. There are many great spots to enjoy the autumn foliage all over Kyoto. Among them, I highly recommend the temples below. Nanzen-ji temple:amazing colors around the Sanmon-gate and in the Japanese garden. Eikandou:known for its maples, magnificent views of the autumn colors along the pond garden, the arching bridge, and the Pagoda. Arashiyama area in Kyoto turns absolutely exquisite during the fall season. This is one of the most popular fall foliage viewing spots among the locals. The mountains will be decorated with red, orange and yellow colors which contrast beautifully with the green valley and the pristine river. 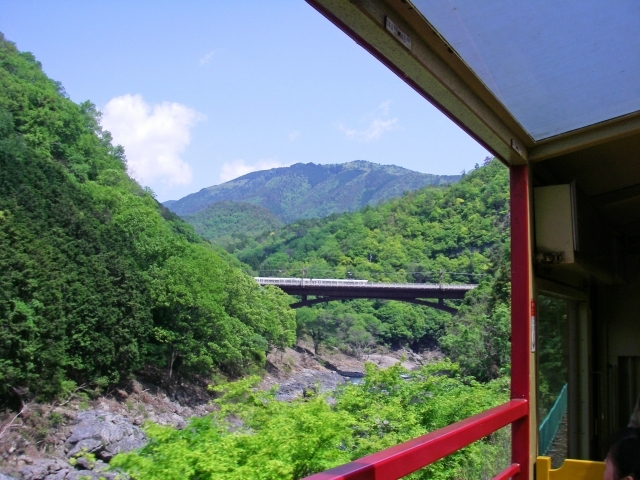 The old fashioned train with big windows called “Torokko” runs slowly through these multi-colored mountains and ravine between Saga and Kameoka Torokko stations. The 5th and the final car has a section without any window, so if you are into photography, you might want to get your seat there. One way fare of the Sagano Scenic Train is ¥620 (¥310 for children). You can get on either from Saga station or Arashiyama station after visiting nearby temples and shrines, and once you get to Kameoka Station, you can either take the same train back, walk to the nearby JR station (Umahori) back to Arashiyama. Daikaku-ji temple is famous for “sawa no ike,” a huge man-made pond that spreads in front of the main hall. Some believe that this oldest artificial pond in Japan was made for the purpose of moon viewing, to enjoy the perfect moon reflection on the pond. If you are in Kyoto between October 4 and 6, surrounding the day of the harvest moon, there is a special moon viewing event at the temple where you can ride a small boat on the pond as people did centuries ago to view the moon two ways: both in the sky and reflected on the calm water of the pond. From November to December, the fall foliage that surrounds the pond will be lit up at night so tourists can admire the beautiful colored foliage two ways as well. To access to Daikaku-ji, take City Bus #28 or Kyoto Bus 74/81 from Kyoto Station to Daikaku-ji Mae stop. Alternatively, you can enjoy a nice 15 minutes-walk from JR Saga Arashiyama Station. During the autumn, many of the temples and shrines in Kyoto open their doors to tourists at night. Temple and shrine buildings look more majestic at night. Illuminated fall foliage and gardens give you different perspectives of their beauties compared to what you would see during the daylight. I will introduce you to some of my favorites. 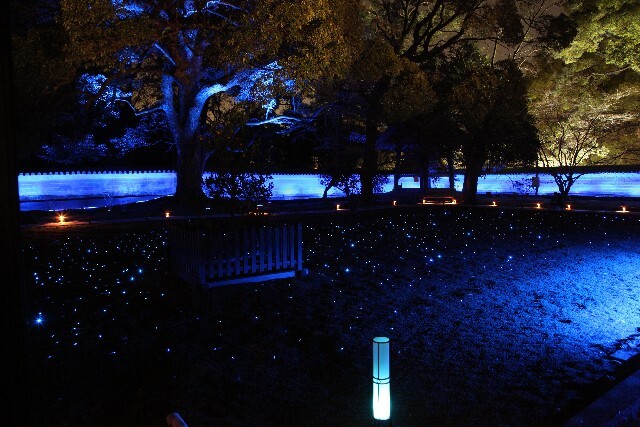 Shouren-in has the beautiful garden which will be lit up and covered with mesmerizing small blue lights. Tenjyu-an is a sub-temple of Nanzen-ji. Its illuminated gardens attract many tourists during the autumn season. Housen-in offers another framed fall foliage view, where one can enjoy the magnificent view of the 700 years-old pine tree in the illuminated Japanese garden from the reception hall. 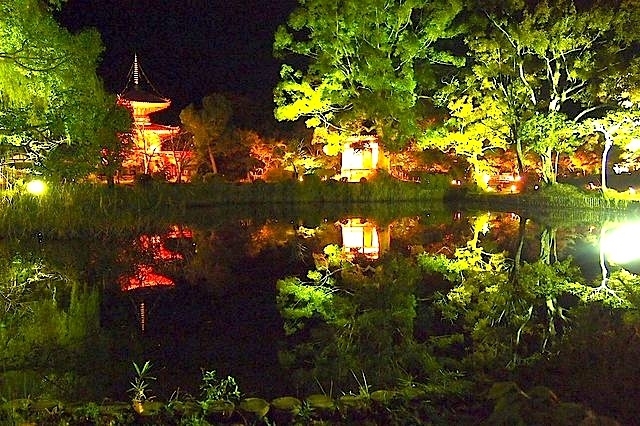 Kifune Shrine is a “must visit” at night and a photographer’s favorite. The red-lantern lit staircase is extremely magical along with the Shrine’s autumn colors. 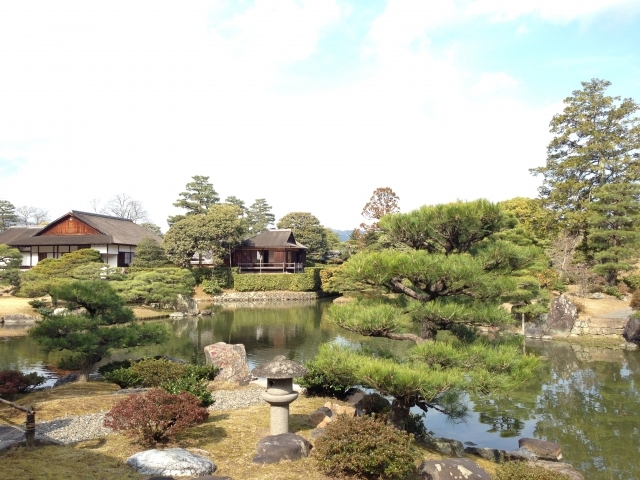 Katsura Rikyu, or Katsura Imperial Villa is considered a masterpiece of the Japanese gardening and architecture. 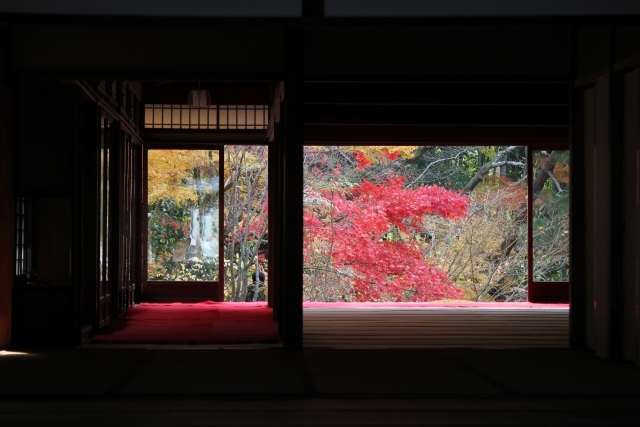 Since then he and many international architects have visited and published books on Katsura Imperial Villa and its modern and minimalistic beauties. The Villa is a must see for anyone interested in the Japanese garden designs and architecture. In order to visit the Villa, you are required to join an organized tour. You must apply in advance either online or in person at the Imperial Household Agency. Alternatively, a small number of “same-day” tickets are available starting at 11am for tours in the afternoon. You might want to go at least 30 minutes earlier to be in line for the ticket distribution. You may access the Villa by City Bus #33 from Kyoto Station. The closest railway station is Katsura Station on the Hankyu line. Don’t forget to eat nice foods in Kyoto. I hope you enjoy the beauty of Kyoto in autumn!